In today's Agent Insights, Karen Fiddler, a Broker and Realtor in Laguna Beach, California - talks about how making mistakes in real estate actually makes you a stronger agent. Like it or not, real estate mistakes do happen. But instead of being frustrated by mistakes I've made, I view them as part of the reason why potential buyers and sellers should hire me. As a real estate broker, I often have a number of transactions going at the same time....each with different moving parts. In all honesty, I don't think I've ever had a seamlessly smooth transaction with zero issues to resolve. Most often these issues are easily overcome and handled, but there have been times when I just blew it. Not necessarily meaning the transaction doesn't close, or the parties are injured. In fact, if I make a mistake that could damage a principal financially, I ALWAYS compensate for it. So why would prospective clients want to hire me as their agent when I've just admitted to making real estate mistakes? Because these mistakes turn into lessons that add to my experience - and the more experience I have, I am better able to address issues and your escrow will go smoothly. Here's a quick example from this past weekend. I had a listing ready to close on Saturday morning at 8am. That same Saturday, I get an urgent call from the buyers agent saying the buyers never received their HOA documents (and yes, they have already removed this contingency). Based on my experience, I knew that title could get these documents, so I made a quick call to my title rep. Lo and behold, my quick thinking and phone call resulted in HOA documents being emailed over within a half an hour. Problem solved! Would a less experienced agent know that this was the answer on a Saturday morning? Not necessarily. The bottom line is - I encourage prospects to hire me for my great reputation, but I also encourage them to consider what I've learned over the years. After all, those mistakes have ultimately made me into a better agent. 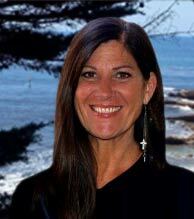 Karen is a real estate agent specializing in Laguna Beach, California and surrounding areas. She prides herself on a strong customer service-centric approach to running her business and it's definitely paying off! To learn more about Karen, visit her website - www.Search4OCHomes.com. free 37 page Agent Insights eBook!